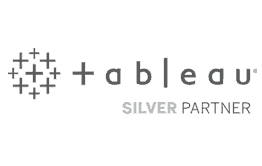 Unilytics is a certified Tableau Silver Partner and reseller. offers users instant and rich analytics and, most importantly, insights. Unilytics partners with Snowflake to deploy the only the Data Warehouse built for the Cloud. We use Snowflake to help you combines the power of data warehousing, the flexibility of big data platforms, and the elasticity of the cloud, at a fraction of the cost of traditional solutions. data quality, and enterprise application integration software. Unilytics offers products and services for Denodo’s Data Virtualization tools. These solutions provide business agility by integrating disparate data from any enterprise source and reduces or eliminates the need for replicating data in a data warehouse. Unilytics is a WhereScape partner. We use WhereScape’s data automation capabilities to accelerate the deployment of data infrastructure projects such as data warehouses and data marts.